If you weren’t satisfied with the cameos by Bruce Willis and Arnold Schwarzenegger in last year’s action extravaganza The Expendables, you’re in luck: they’re back for the sequel and expected to have bigger roles. According to Deadline, the pair of ’80s tough-guy icons recently finalized deals that would have them playing “substantial” roles in the sequel to the surprisingly successful 2010 film. If everything goes through, this will have them appearing alongside original cast members Sylvester Stallone (who co-wrote and directed the first film), Jason Statham, Dolph Lundgren, Mickey Rourke, Terry Crews, and Jet Li, who are all expected to return. Chuck Norris and Jean-Claude Van Damme have both been rumored for the sequel, though that sort of thing is probably to be expected, given the collection of action stars it assembled. Basically, it’s prbably best not to believe Norris is in it until we see his roundhouse kick send Statham, Crews, or one of the other, younger actors flying. 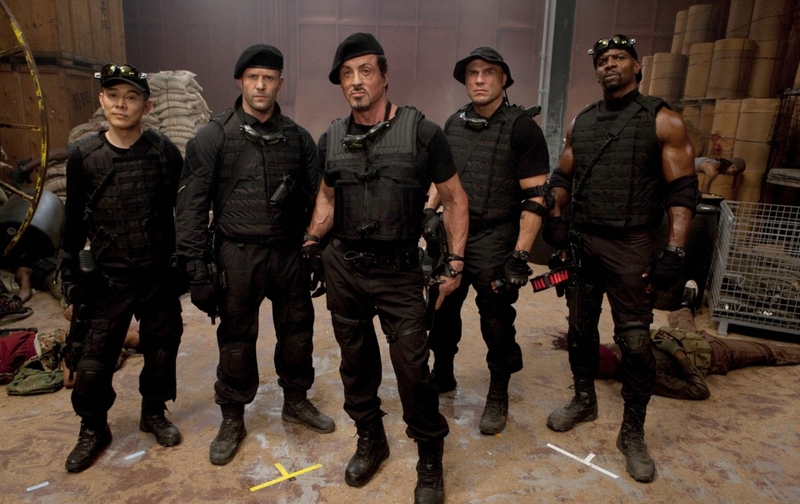 Stallone has stepped down from directing duties on the sequel, and handed the reins to Con Air filmmaker Simon West. Filming is expected to begin in October, so more casting announcements should become official soon.